The Renault Samsung Motors XM3 Inspire Concept is currently enjoying its world premiere at the 2019 Seoul Motor Show whre keen observers will note that it bears more than a little in common with the Renault Arkana which debuted at the Moscow International Auto Salon in Russia last August. That model bore Renault’s logo on its grille and is expected to go into production during the course of this year starting with the country it debuted in. The XM3 Inspire is essentially the same vehicle aside from its Renault Samsung specific badging. This version of Renault’s coupe-profiled SUV will be solely for the South Korean market and while it may be called a concept it is unlikely to change much between now and when it starts rolling off the production line. "The XM3 Inspire show car, revealed today by Renault Samsung Motors, unveils the lines of a future vehicle perfectly blending the athletic proportions of an SUV and the elegance of a sedan. With the clear objective of meeting the expectations of our customers in South Korea, we sought to create the most elegant vehicle in the world, an emblematic model that will mark the true design transformation of Renault Samsung Motors.” Said Laurens Van den Acker, Senior Vice President of Corporate Design for Renault. 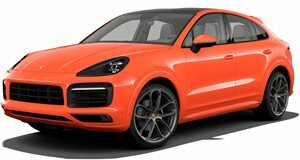 While it may not quite be the ‘most elegant vehicle in the world’, the coupe-styled SUV segment is hotting up, even Porsche has just released a Cayenne Coupe, and customers seem happy to sacrifice a bit of interior space for the more stylish lines of these cars. While we don't get any Renault-branded cars in the US, a number of their models share a lot in common with Nissan vehicles, so the XM3/Arkana may well end up here under a different name in the future. While not well known outside of South Korea, Samsung partnered with Renault back in the ‘90s to produce a range of mostly badge-engineered cars in its home country. The newly released XM3 Inspire will be joining a range of other Renault-derived sedans and a Koleos-based SUV at the 2019 Seoul Motor Show which runs from 29 March until 7 April. It will be produced at the Busan plant in South Korea with the first models expected to be delivered in 2020.